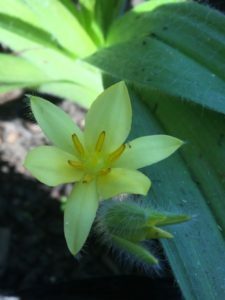 A tuberous perennial, growing from a stout vertical rhizome, with long, stiff yet soft textured, broadly sickle-shaped and hairy leaves that spread outwards from the centre of the plant in three distinctly overlapping yet separate groups. 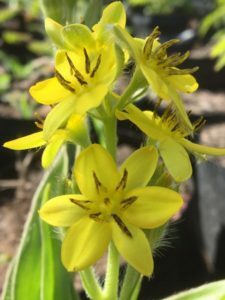 Robust, slender, fresh green stalks, arising from the heart of the plant carry several bright and cheerful, golden-yellow starry flowers that open at first light and close by midday. The downy hairs on the leaves help the plant to reduce moisture loss on sweltering days in the open grasslands that they frequent. These little plants have gained immense popularity in recent times due to their almost magical medicinal abilities. Hypoxidaceae – (The Star-grass or Star-Lily family). These geophytes were common and widespread in grassland, bushveld and woodland areas across almost 5 of the provinces until very recently. They frequent summer rainfall areas of mainly the eastern escarpment and are often encountered on rocky terrains or areas with very sandy soils. 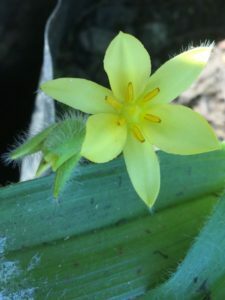 The Star Flower can be found from the coast to elevations of around 1800 m.
It is the most popular member of its genus and occurs from the Eastern Cape and Natal to areas further north such as Zimbabwe and parts of Mozambique. Each plant has 7-16, broadly linear to narrowly sickle or lance-shaped (500-900 x 100-600 mm), keeled, soft textured yet stiffly held leaves. The leaves are tidily arranged, one above the other, in spreading ranks of 3, and arch stiffly up and outwards from the centre of the plant before coming to rest again on the ground. They tend to overlap at the base, and have many fine, but prominently marked mid-ribs. The margins are smooth, but finely hirsute, and taper to somewhat pointy tips. The keels, margins and especially the lower surfaces are densely covered with a layer of soft, short, greyish-white, 2-armed hairs. 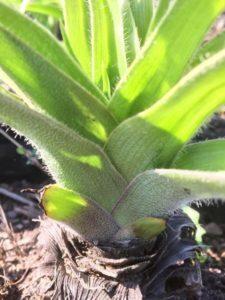 The leaves are typically produced just before the flowers in spring, and grow from a chartaceous, scaly corm, and remain until early winter. Underground lies a large (20-80 mm), hard, hairy and viscous, dark brown to almost black tuber or corm, with amber coloured insides that turn black when exposed to air. Bright yellow, starry flowers (30-50 mm), carried in elongated, slender and sturdily erect stems that arise from the centre and can be nearly as long as the leaves. Each plant typically produces 5-6 flowering stems, each carrying up to 16 individual flowers. The flowers are short-lived, each one opening at dawn and closing by midday. The flowers do not all pen at the same time, and only 1-3 may be open at a single time. They tend to open in sequence, from the bottom upwards. The fruit is a three-chambered capsule (4-8 mm), covered with a cap that eventually falls off when the capsules splits open to release the hardened, black and smoothly glossy seeds. The tuberous rootstock and/or the leaves are used in various preparations. These extracts are said to be rich in phytosterols and sterolins, as well as rooperol, which is used in the treatment of benign prostate hypertrophy and shows antimutagenic and cancer cell cytotoxicity. Extracts also show numerous anti-inflammatory, anti-oxidant, antidiabetic, anti-convulsant and anti-cancer activities. However, despite these miraculous benefits, adequate research into all of its pharmacological applications has not been extensively carried out, and further studies are warranted. Hypoxis still remains one of our country’s most popular and widely used herbal remedies and has a rich legacy in traditional medicine. In western medicine, this plant has recently become increasingly popular as a commercial source of extracts used in preparations to treat prostate problems and in general immune-boosting and strengthening tonics. 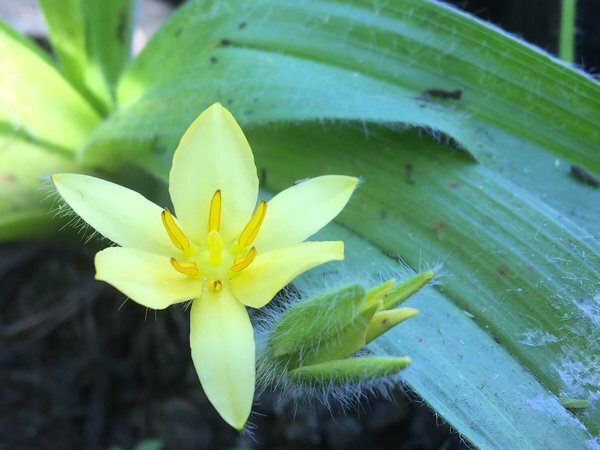 Decoctions of the corm are used mainly as emetics in traditional medicine to treat bladder and urinary tract infections, dizziness, delirium, anxiety, rheumatoid arthritis, abdominal pain, vomiting, fever, lung diseases, psoriasis and allergy symptoms. The rootstock has also been used as a purgative and to expel internal parasites. Infusions and preparations are used in immune boosting tonics given to people suffering from autoimmune diseases such as HIV/AIDS, but it is by no means a cure. These plants received the wrong kind of fame in recent years due to their said mythical healing abilities and are as such shrouded in controversy today. Nevertheless, researchers have found that many of the bioactive compounds contained within the African potato help increases the functioning of T-cells, which control and regulate the immune system, thereby helping to bring balance to it. This upsurges the body’s natural ability to fight against disease and illnesses. The leaves are typically made into a strong and lasting rope and are also said to produce a black dye. The underground corm also yields a dark, almost black dye. These dyes were traditionally used to blacken floors. Raw parts of these bulbs contain toxic substances, and care should be taken when using them. Due to over-exploitation in the wild, their plants are now threatened in their natural habitats. The flowers are magnet for bees, butterflies and other insect life. Insectivorous birds might pay them a visit due to the multitude of insect life they entice. This hardy, non-fussy plant is an asset to any garden, big or small, and will also do well in large parks. It is the perfect addition for water-wise gardens and is very easy to cultivate, requiring little to no extra maintenance. It is a most beautiful groundcover for very sandy and dry areas and makes a lovely addition to an informal/formal or rock garden setting. Tolerates confined spaces and will do very well as a pot plant. These bulbs are resistant to periods of seasonal drought, as they have the ability to store extra moisture in their underground bulbs. In winter, they require no water as they die back almost completely. They are frost resistant and can repair damage caused by excessively cold conditions such as leaf die back quite well. They will also be dormant during the coldest parts of winter. 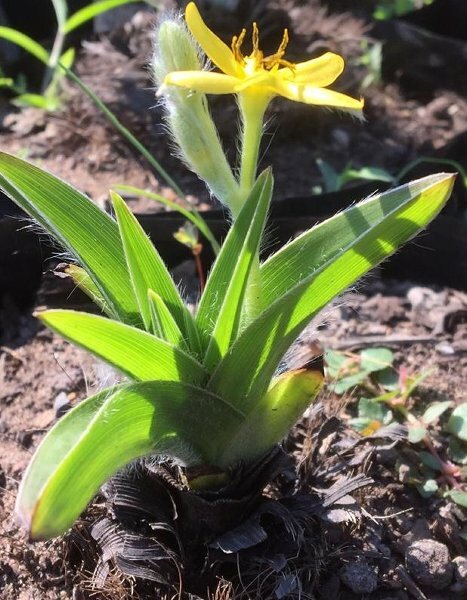 The heavily fibrous corms protect these geophytes from fires, which occur frequently in their natural grassland habitats, and actually aids germination of the hard seeds. A generally hardy garden subject. A rather slow growing bulbous perennial that dies back almost completely during winter. These bulbs grow best in nutrient rich, well-drained loamy soils, with a somewhat acidic ph. They will tolerate rocky terrains, sandy, dry and damp soils, even somewhat clayish soils, and will benefit from an added liquid fertiliser in spring around the roots. During the active growing months, they prefer to be given water at regular intervals, but as they are dormant in winter, little to no water needs to be given at this time. They benefit from an added layer of mulch and some added compost a few times a year. It not easily grown from seed, but more often from divisions of the tuber, or from dormant tubers that are replanted into the soil. (They can apparently last for many months out of the ground). 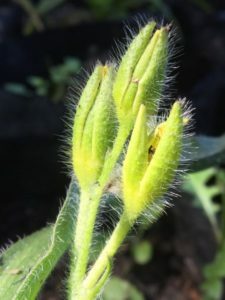 The seeds have a long dormancy period, and even when planted, have a fairly low and uneven germination rate, even after the removal of the hard seed coat. 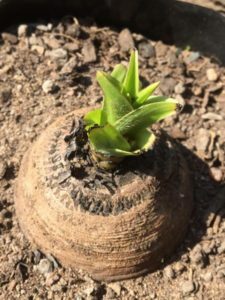 The intact but leafless corms can be put straight into a well-drained medium of compost and river sand, and watered regularly until sprouts emerge, usually after a week or two. 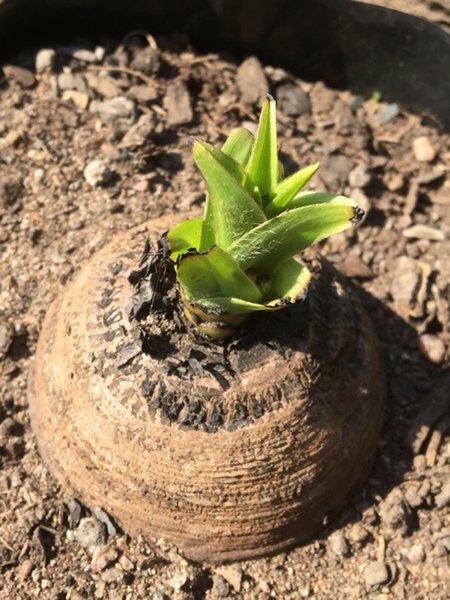 Alternatively, the basal part of the tuber (just before the roots) can be removed, and once new, tiny clone corms have developed from this, they can successfully be replanted. Keep the soil moist but do not let it become waterlogged.